Body odor is caused by the apocrine glands that are located under the skin. These scent glands are mainly responsible for body odor as they produce sweat which is then broken down with bacteria. 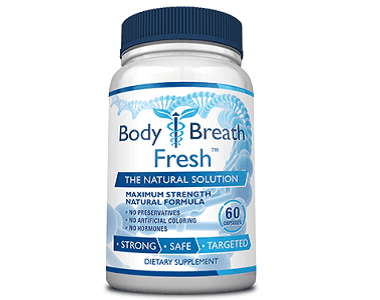 Bad breath is also caused by bacteria in the mouth as well as several other conditions and contributing factors. With thousands of people struggling with these potentially embarrassing problems – it is no surprise that there are a plethora of products on the market that cater specifically to this issue. 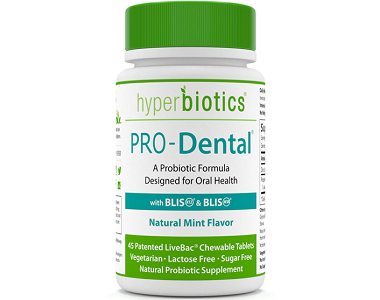 In this review, we will be discussing Pro-Dental by Hyperbiotics – a chewable mint tablet that claims to contain targeted strains and active ingredients that help to maintain overall oral health. Proprietary Probiotic Blend (S. salivarius K12, S. salivarius M18, L. reuteri, L. paracasei)(3 billion CFU) – supposedly fights some of the known bacteria responsible for odor. Other ingredients included: Isomalt, inulin, microcrystalline cellulose, glyceryl behenate, dicalcium phosphate, natural mint extract, stevia. This product may also contain trace amounts of milk protein casein. It can not be determined how much of the inactive ingredients are present in this product. The amount of zinc in Pro-Dental does not seem to be present in the appropriate amount which can be around 13 mg depending on life stage. How Do You Use Hyperbiotics PRO-Dental? It is recommended that this chewable tablet should be chewed or dissolved in the mouth, after the use of mouthwash or after you have brushed your teeth. Although available information does not state how many tablets should be used initially, it is suggested that for a more intense effect two or three tablets should be chewed each day. As with any dietary supplement, it is a good idea to consult a doctor before starting use. PRO-Dental is for sale on its manufacturer’s website at a discounted rate of $23 for 45 tablets (from $28). However, if you subscribe to a delivery every four weeks you can get a 7% discount. This is quite a high price for a product in this category. While writing this review for PRO-Dental we were unable to come across any mention of a money back, satisfaction guarantee. Which is concerning as customers will not be able to use or test this product risk-free. This also raises the question about the manufacturer’s belief in their product. 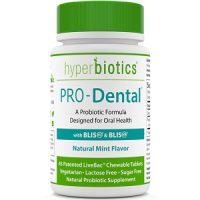 In conclusion to our review of Hyperbiotics PRO-Dental, we believe that this chewable tablet does contain some of the elements needed to combat bad breath and body odor, such as zinc. We also felt that it was easy to locate some of the ingredient information. However, we could not find the proper amounts listed and were unable to find a return policy connected to this product. This coupled with the high price makes us believe that this may not be the optimum product for odor-related problems.